You see Art never really knew much about investing, so simply spoke to his dad’s piranha investment adviser who told him to buy a specific big name brand unit trust*. Now I don’t know whether or not this unit trust provider paid the adviser the most in commission, but Art was told this was the right thing to do and blindly went along with it even though it has a total expense ratio (TER) of 1.7%. That’s probably somewhere in the middle of the pack in terms of unit trust fees, and a rather healthy bite for the hungry adviser. Now considering that nearly R600 000 of his R1 million is from growth, Art could expect to pay a lot in CGT. At the current rates, he’d pay just about R100 000 in CGT, too much for him to accept, after all, his fees for the next year will only be around R17 000, and the year after won’t be much higher. It would take years for the fees to exceed the total CGT, so it’s probably best to stick with the unit trust. Or is it? 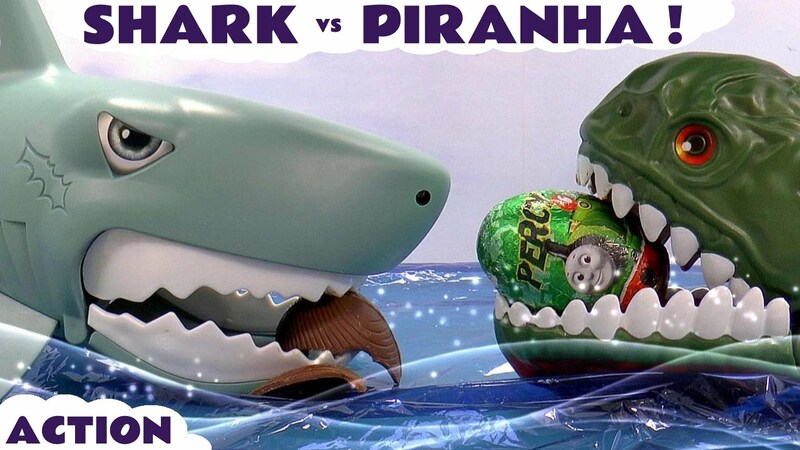 To decide on whether it’s better becoming shark food or piranha food we first need to get some facts. The first question we have is will Art get value for money from his fees? I’ve written many times before about how most unit trusts lose to the index. Happily, since S&P release their annual scorecard in the active vs passive battle every April, we can now look at updated figures. The update for South African funds was more of the same. Over a 5 year period, 77% of funds which focus on the JSE lost to the index. If you’re considering a global fund run by a South African firm things are far worse. In that case 93% lost to the index. And remember, those are just the surviving funds, nearly 20% of the biggest losers were closed down by their red faced, sweaty palmed fund managers. There’s more bad news too. In the US scorecard we now have 15 years worth of history from S&P. This gives us a really good rundown of what you can expect on the sort of time-frame we’d have for retirement savings. Over 15 years 92.2% of US large cap funds lost to the index, 95.4% of midcap funds lost and 93.2% of small cap funds. I think the term for that is a whitewash. And these were the scores for the funds that survived. More than half of the funds that were around 15 years ago have closed down. So on average you’re going to lose by buying unit trusts. The average amount you’ll lose by is 1.75% per year. Some funds lose more and some funds lose less, care to take a guess how to tell which ones will lose by more or less? That’s right, the more expensive the fund, the more you lose! It seems like fund management companies live in a parallel universe where quality is cheap and absolute rubbish expensive. The only other crowd I can think of that live in the same universe are politicians. With that in mind I’ve built a new calculator. You tell it how much you already have, how much you invest every month, and how many years you plan on doing that before you retire. It then works out how much you’ll be spending in fees over the total period, and also per month. To make it work for both exchange traded funds (ETFs) and unit trusts, I’ve only discounted the performance by the total expense ratio. That’s reasonably accurate for ETFs**, but unit trusts would actually lose a little more. So let’s plug in the numbers. As you can see, all those annoying little attacks have actually claimed R5.7 million out of a potential R18.4 million in growth. Can you see that Art. 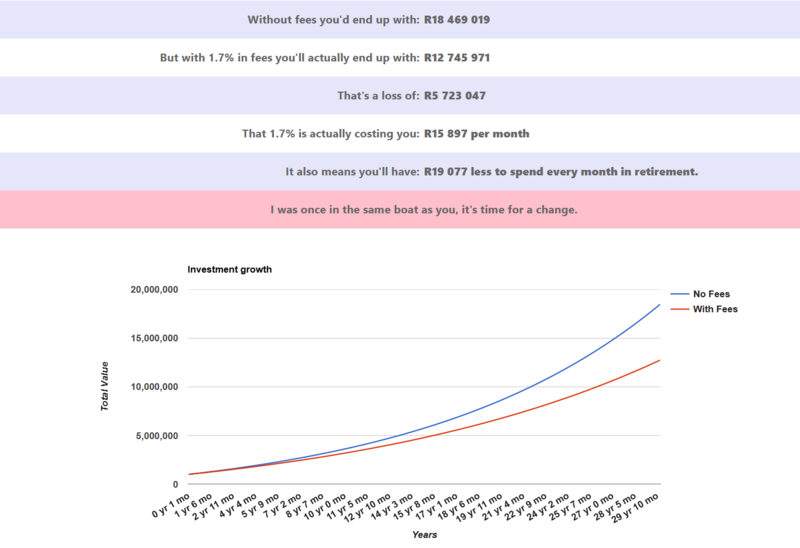 You’re not actually paying 1.7% per year, what you’re really doing is paying R15 897 a month, every month from now until you retire. All that for what will certainly be under performance. That’s staggering! Let’s see if you’d do any better losing a leg to the sharks. How’s that for a difference. 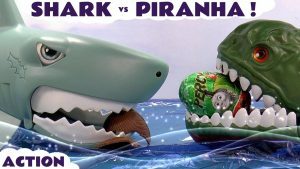 The shark attack victim is R4.3 million rand better off than the piranha victim. Yes the initial capital was less, but the attack only happened once, it was a transactional cost, while the higher TER is a running cost. If you run the numbers for long enough, running costs will lose in almost every case. To give you another perspective, divide the R17 million by the 300 rule. 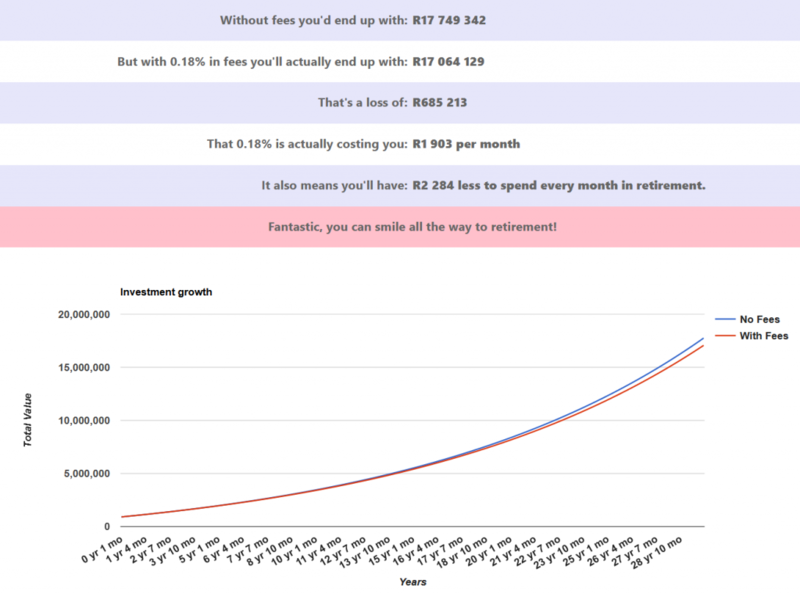 This shows that Art could have R56880 a month to spend in retirement if he switches to the ETF now. Not switching from the original fund means Art would have R42487. I’m not sure about the rest of you, but if I was Art, I wouldn’t give someone R4.3 million of my hard earned cash and then live with R14000 less every month into my old age. What do you think Richard er I mean Art? Give the calculator a try here. Take note that the calculated market returns exclude inflation, so the results you see are all in today’s money. You’ll also notice that you can mouse over the graphs to get instantaneous readings. *Not all unit trusts are bad, some are based on passive index investing like the majority of the Vanguard funds, and locally like many of the Satrix and Sygnia funds. These are good unit trusts, and should cost similar amounts to a typical ETF. **Interestingly an ETF can actually beat he index, giving you what’s known as Alpha. This doesn’t happen often, but in the case of the ETF I use, the Vanguard World fund (VWRD) this has actually been the case. By keeping the costs ultra low, and by using offering the shares they own to shorters, they’ve actually managed to generate profit that’s higher than their expense ratio. Since inception the fund has returned 10.76% while the index has returned 10.74%. I know it’s a tiny bit extra, but when you compare it to the massive relative losses the active funds have made it’s outstanding! Do you still own (expensive) unit trusts?